With one of the most vibrant and exciting dance schools on Queensland’s Sunshine Coast, we offer curricular and extra-curricular dance programs for both boys and girls, in ballet, jazz, contemporary and hip-hop. Our highly developed dance culture exposes students to a variety of dance opportunities – including; Spotlight, and Onstage (Primary and Secondary annual variety concerts), end of year celebrations, Dance Showcase, Arts on Twilight and the Suncoast Festival. We are also one of only a few Sunshine Coast High Schools to offer Dance as a subject in Year 11 and 12 – both for the current OP (Selection Rank) and for the new Australian Tertiary Admission Rank (ATAR). Suncoast Dance Company exists within Suncoast Christian College and represents the College within community dance events as well as providing dance items of very high quality at College events throughout the year. Suncoast Dance Company also exists to provide an opportunity for those who do and those who don’t take dance, a platform to showcase their dance abilities whilst establishing Suncoast as a competitive school within the wider dance community. SunArts is our extra-curricular performing arts program, where students from Little Learners through to Seniors can participating in individual or shared lessons. SunArts Dance is a subject that is run after school and the dance program covers not only classical ballet but jazz and contemporary dance as well. 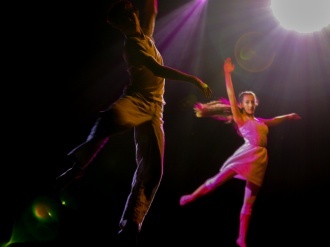 Students are involved in numerous performances during the year and also prepare for dance exams. Suncoast Dance offers amazing and creative experiences for my children. The diversity of genres in dance including jazz, tap, ballet, contemporary & hip hop, highlights an extraordinary opportunity that Suncoast Dance offers. My kids love that they can perform throughout the year and showcase all that Suncoast Dance has taught them.